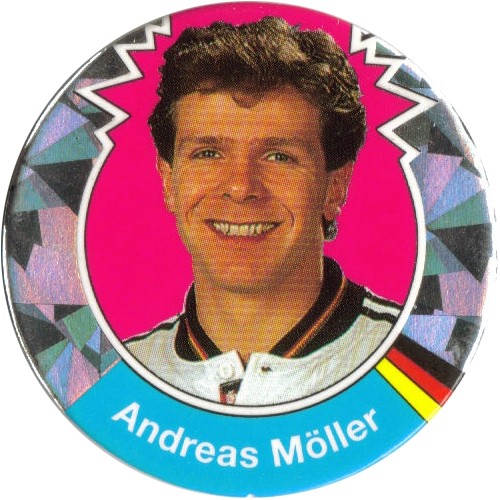 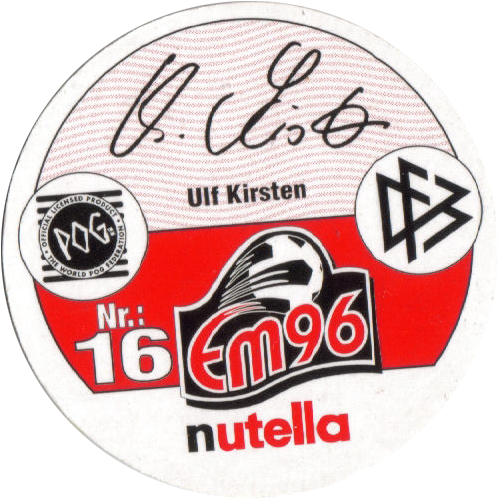 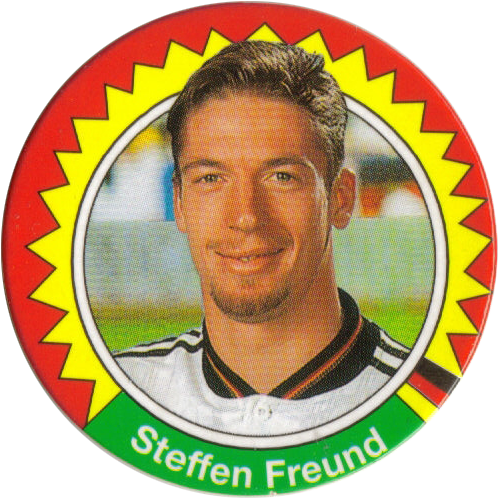 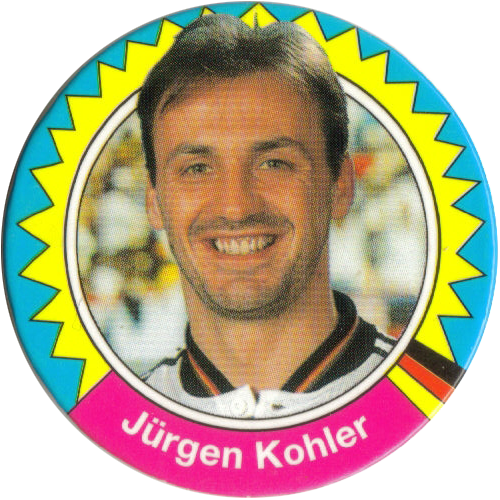 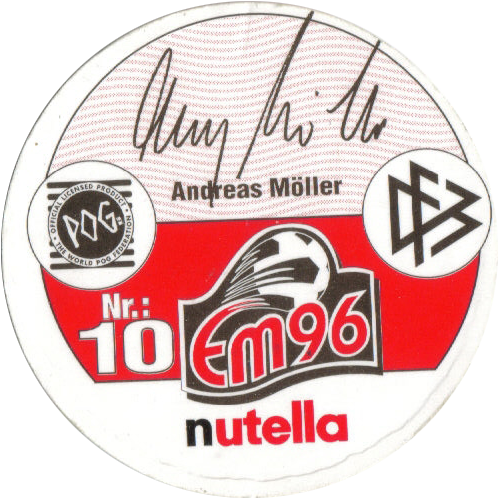 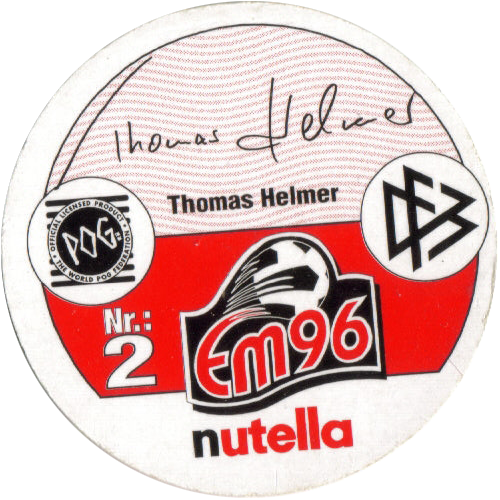 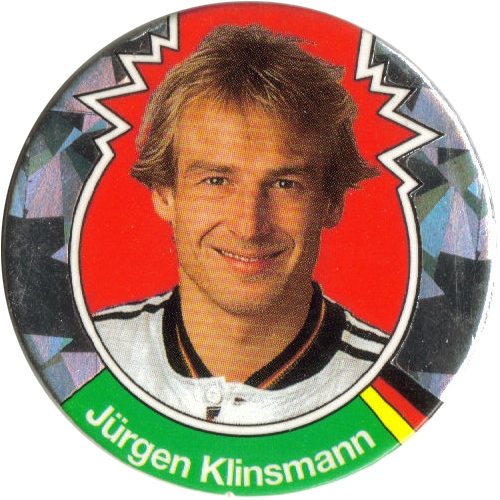 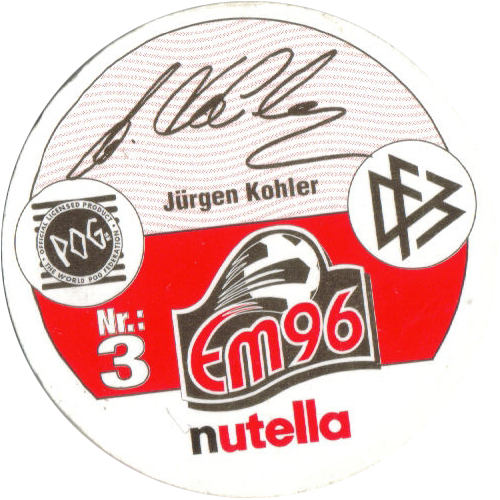 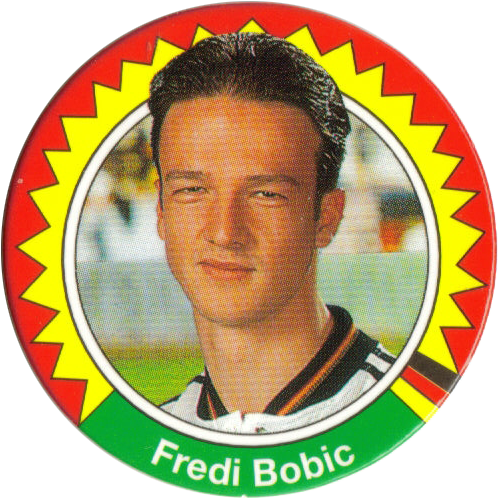 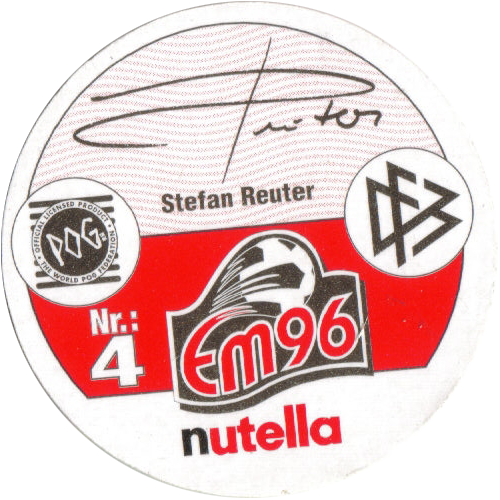 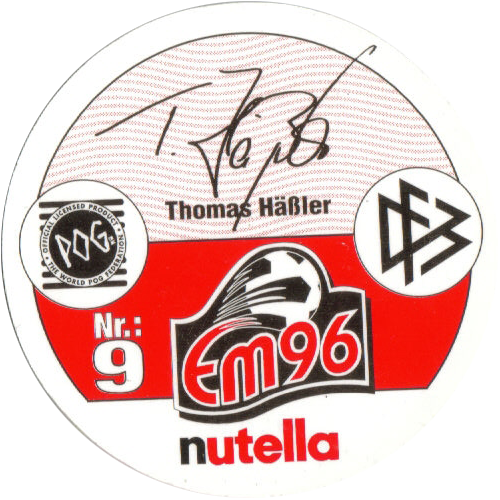 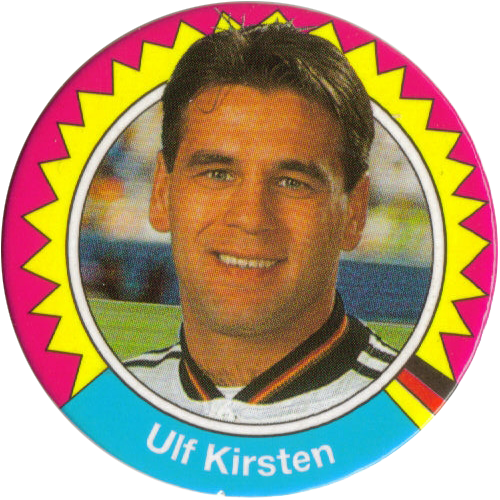 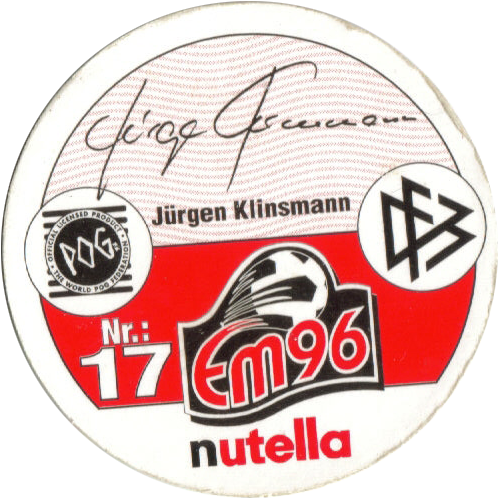 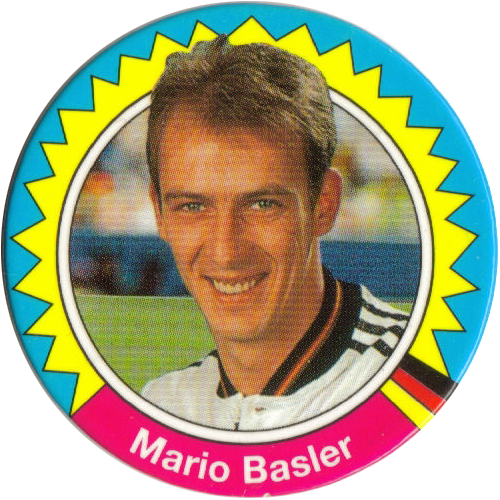 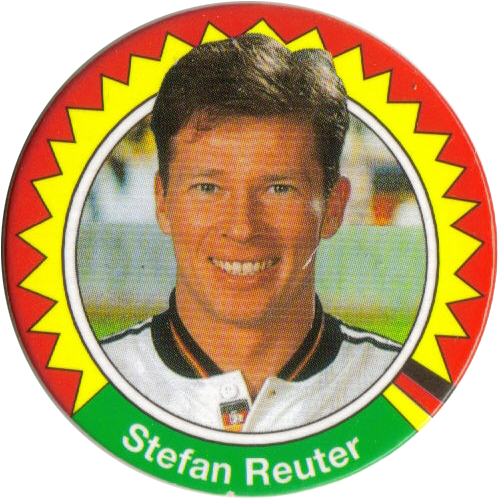 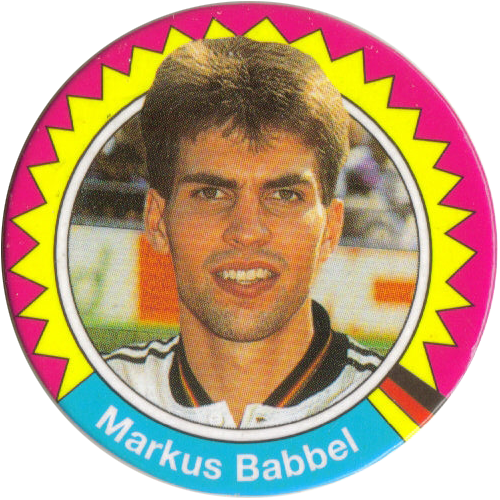 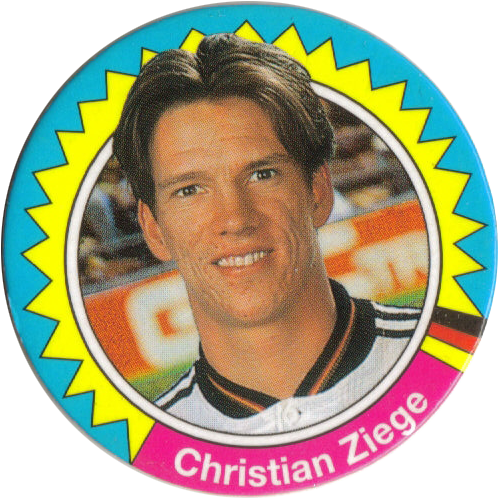 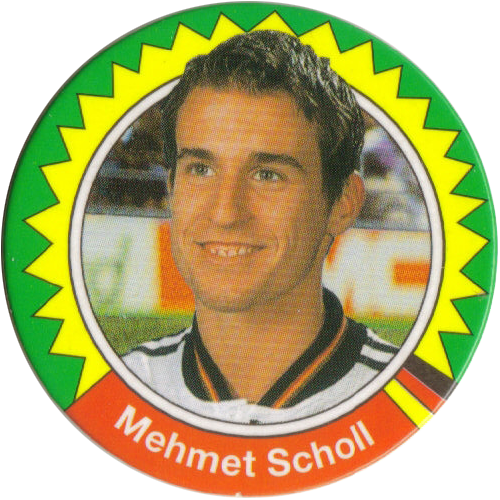 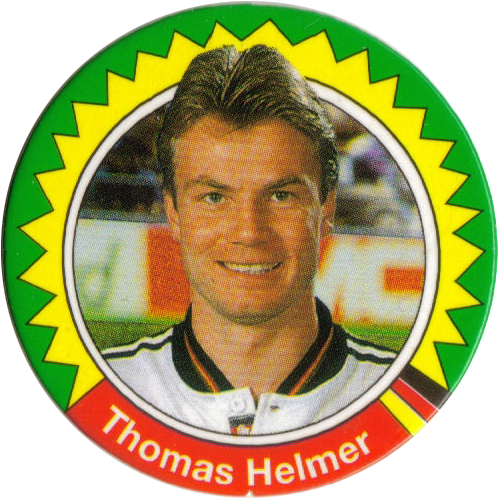 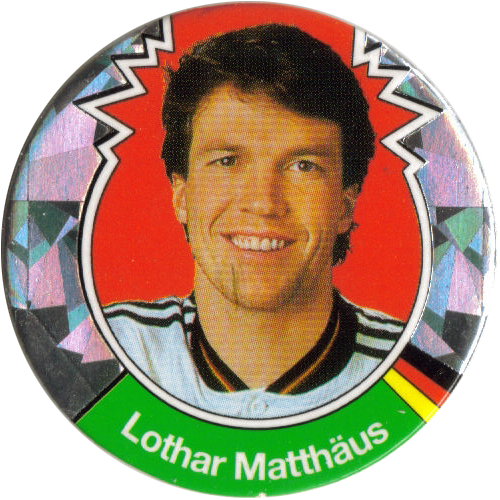 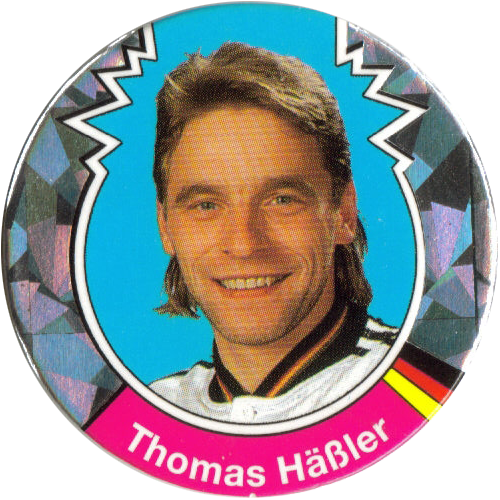 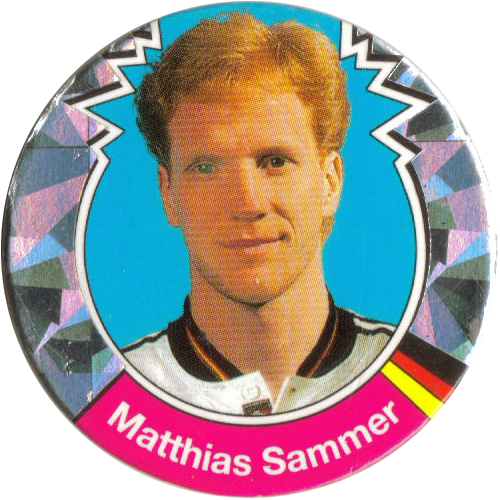 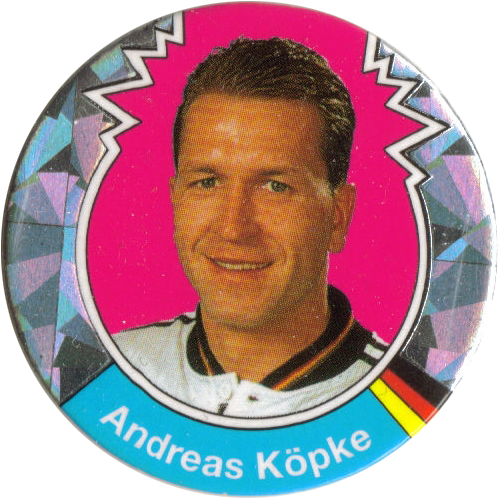 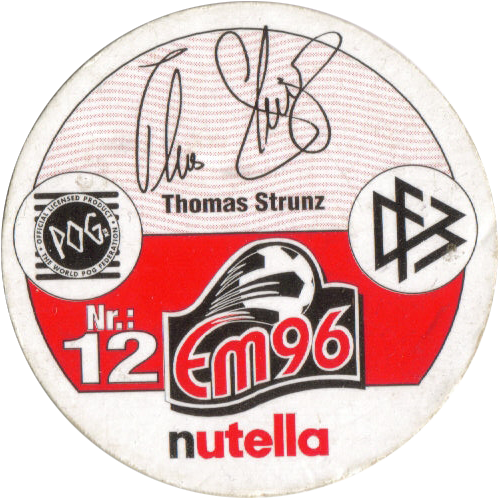 Info:These officially licensed WPF POG milkcaps feature players from the Euro 96 Germany football squad. 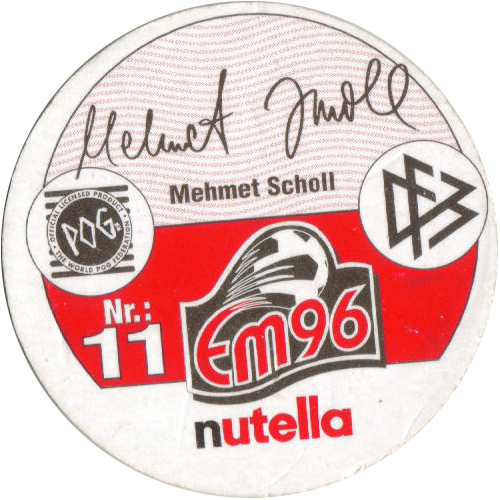 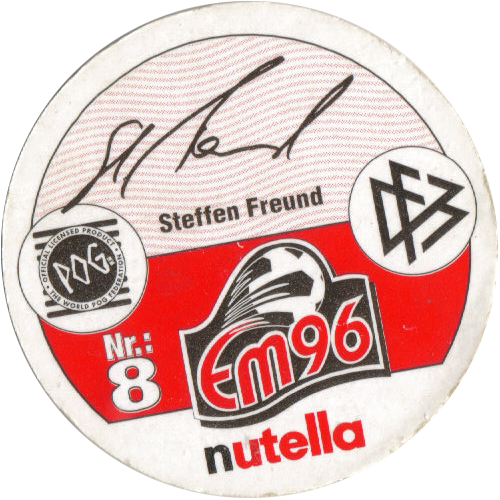 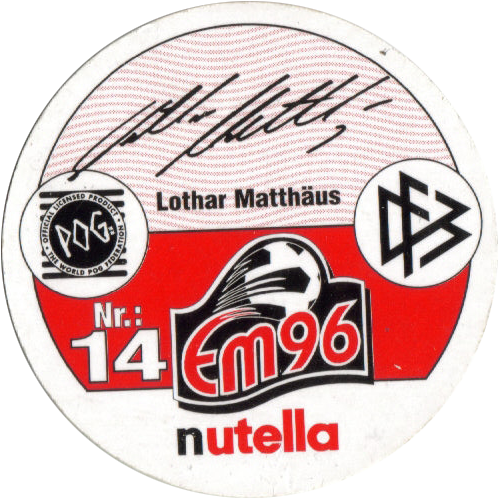 They would have been given away with Nutella sold in Germany. 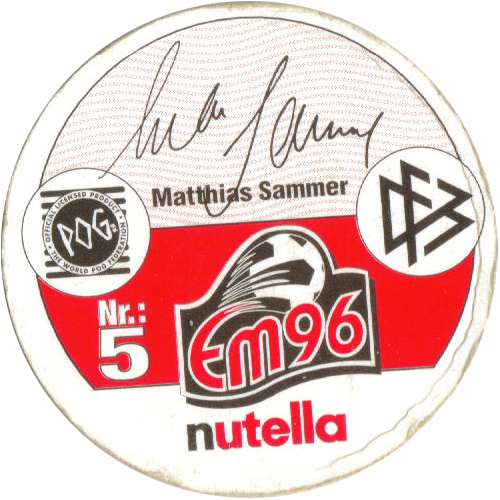 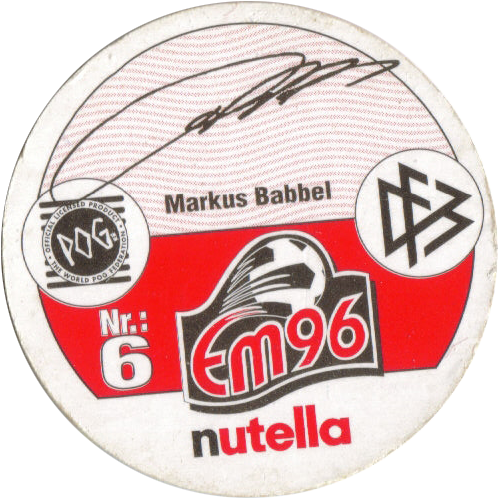 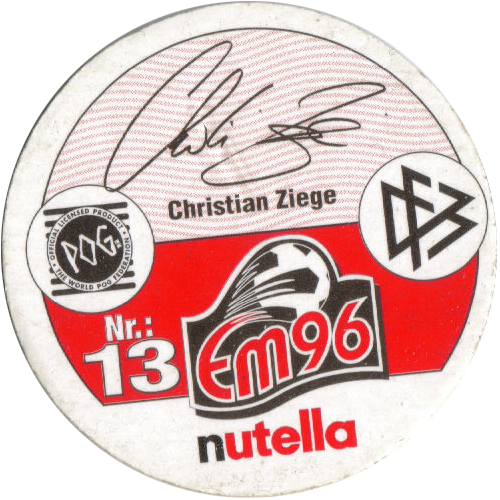 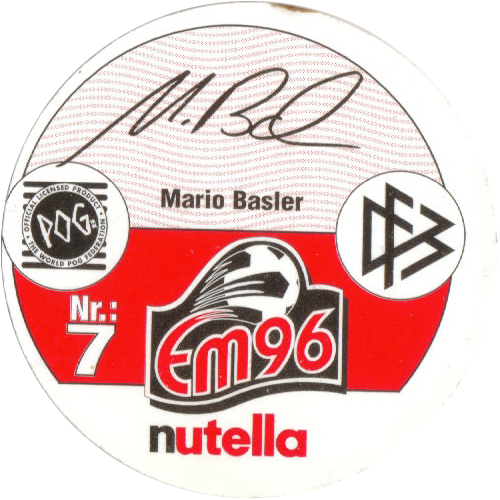 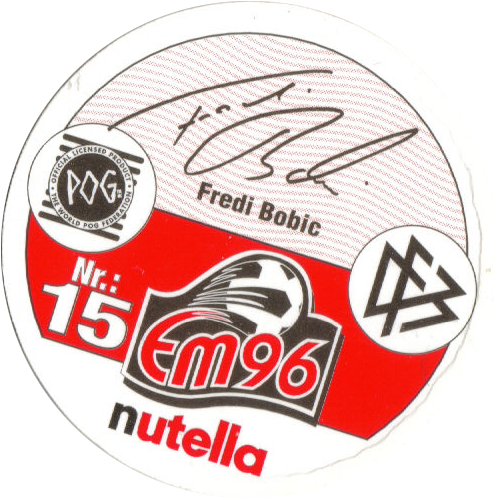 On the back of each pog it has the player's signature. 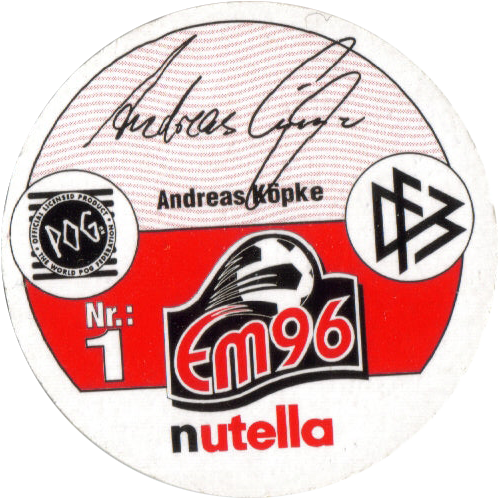 Thanks to Silke for the scans of this set.